The turtle cuff bracelet is a companion to my ladybug cuff bracelet. After all, boys (and turtle lovers) like to wear bracelets too -- especially when the bracelet involves a removable turtle playmate! 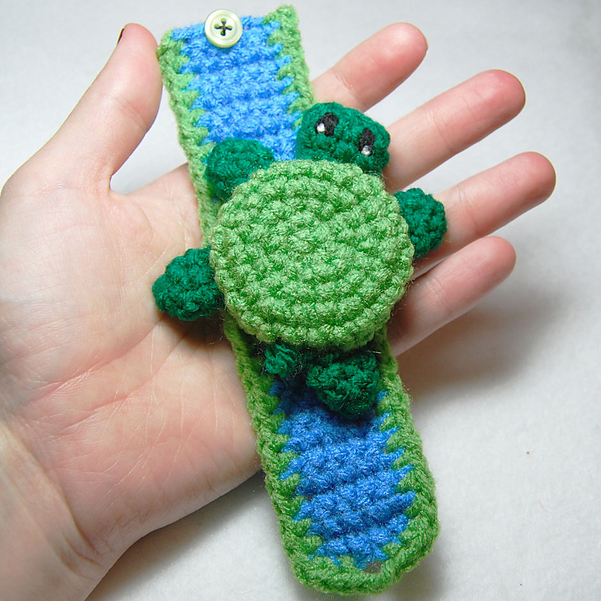 And don't forget -- the turtle cuff bracelet makes a great mix and match package with the free bat and ladybug cuff bracelet patterns!